The first time I played Clever Plays' new rogue-lite, Leap of Fate, it was still very early in Early Access. Despite being very rough around the edges, it was already showing exhilarating combat and had built all the foundations for a stellar game. Over the last year, the studio has been diligently updating the game, which has finally coalesced into a brilliant, addictive experience. 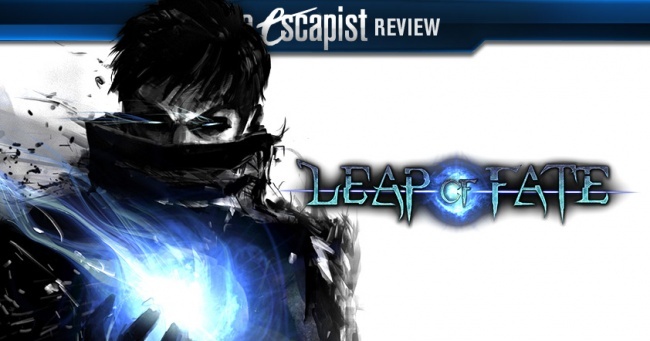 Despite the forward-facing focus on the story, Leap of Fate is far less interested in pushing the game's narrative down your throat as it is in making you want to seek it out. The setting is an alternate-future New York City, where magic and technology mingle, and technomancers serve as the embodiment of both. As you advance with each of the four characters, you'll unlock new story elements and cinematics that help you piece together each character's history and motivations, without demanding that you do so. 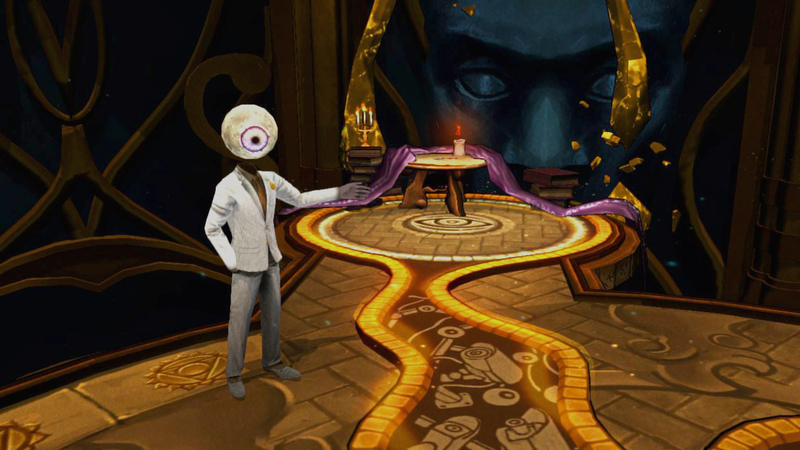 The graphical fidelity is on the lower end, as is often the case with smaller indie studios, but the visual effects are expertly crafted within the restricted graphical environment. It's not pixel graphics, to be sure, and you'll forget about the notion of "pretty" entirely when the bullets start flying. Even just glancing at some of the heavily stylized character art, you can get a sense of the world's dark future and the characters' dark pasts. 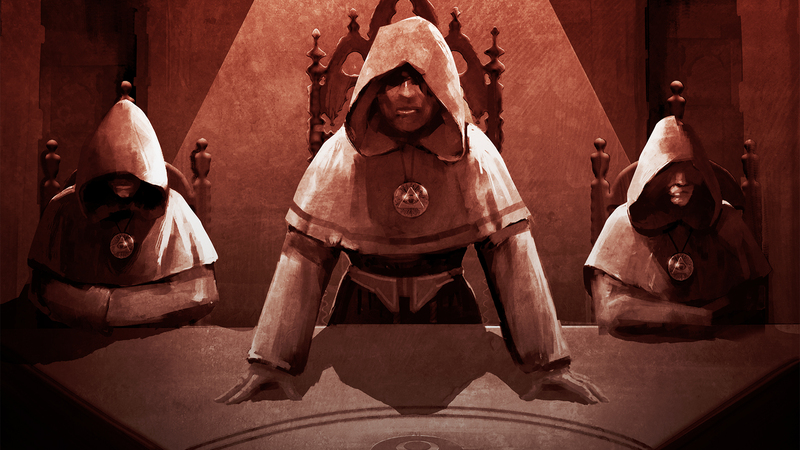 Once you choose your character, you'll have the first of six levels laid out in the form of a pyramid of cards. You'll start at the top, and have to work your way to the boss through a series of random, secret encounters and events. Each time you clear a card, it reveals the next row of cards it's connected to. 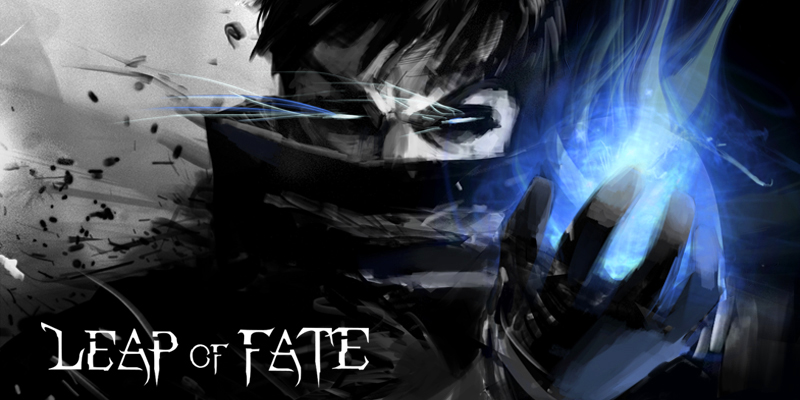 Leap of Fate's core is the randomization inherent in the rogue-lite genre, which it applies liberally throughout. Instead of just randomizing the levels, Leap of Fate goes a step further by randomizing your skill trees each time you play. Your skill tree is going to dictate how your run plays out to a large extent, so being unable to plan around that in advance keeps it from ever really getting stale. 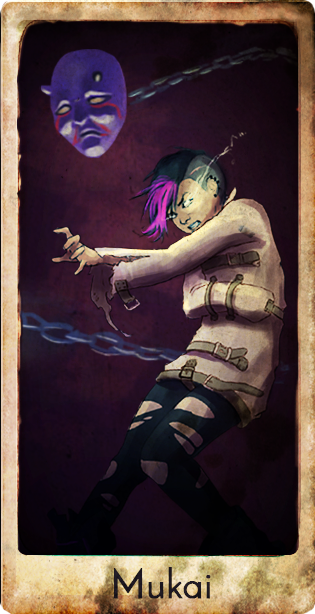 Combat cards, which make up most of the tarot deck each level is constructed from, have one to three skulls difficulty rating and zero to three skulls treasure rating. Each skull represents one wave of enemies while each level of treasure indicates the tier of chest you'll get when you clear the level. Collecting treasure is integral to success, as the Mana you find in chests is what you'll spend in Upgrade cards to activate new skills in your skill tree and buy items in the shops. Getting to these chests, of course, requires you to beat the waves of enemies, which is where the top-down, twin-stick combat comes in. 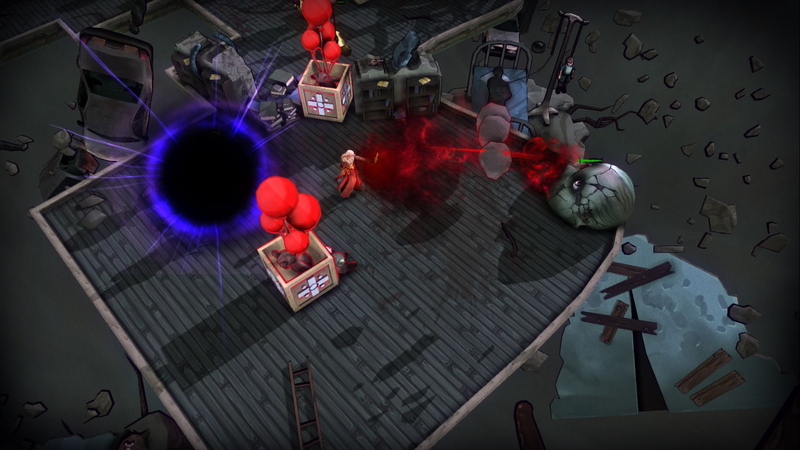 The "Shadow Walk" ability - a near-instant move to another location, ignoring enemies and obstacles - serves as the core combat mechanic, though whether it's offensive or defensive depends on the character. Where the starting character Aeon quickly evolves Shadow Walk to an offensive damage dealer, the second character, Big Mo's defensive use leaves a dummy behind that attracts enemies. Both of these upgrades can be purchased by any character via the skill tree, but after a little progress, you'll start with them on the respective characters. 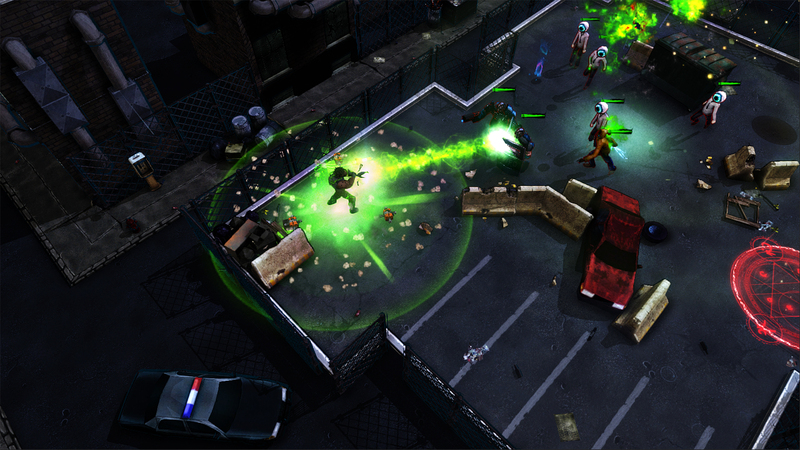 Shadow Walk is complemented by a magical Glyph, which can have an immense impact on the combat. Each ability has a limited number of charges, so you'll need to be smart about when to use them, but they're powerful enough to frequently turn the tide of combat in your favor. Outside of skill tree upgrades, the various Glyphs can be the most meaningful combat upgrade, though some are incredibly lackluster by comparison. Where Aeon starts off with a basic Glyph that shoots a single damaging bolt, you can find much more powerful options later on, or work to upgrade your starting glyph through the three tiers. Glyphs like Homonculus, which summons a hulking golem to tank for you, and Infernal Device, a time bomb that you can attach to an enemy, are vastly more powerful than any of the starting glyphs, and upgrading them can push you past any hurdles you may have encountered fairly easily. The characters play wholly differently from one another, thanks to their distinctive weapons. Aeon has a rapid fire spreadshot while Big Mo shoots a continuous beam that overcharges after a couple of seconds, but overheats after a couple more. 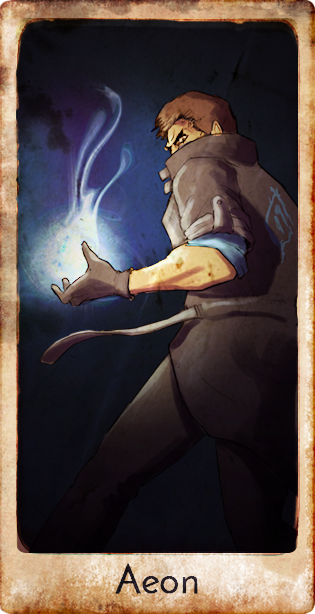 The third character, Mukai, is a melee fighter, which distinguishes her even more. 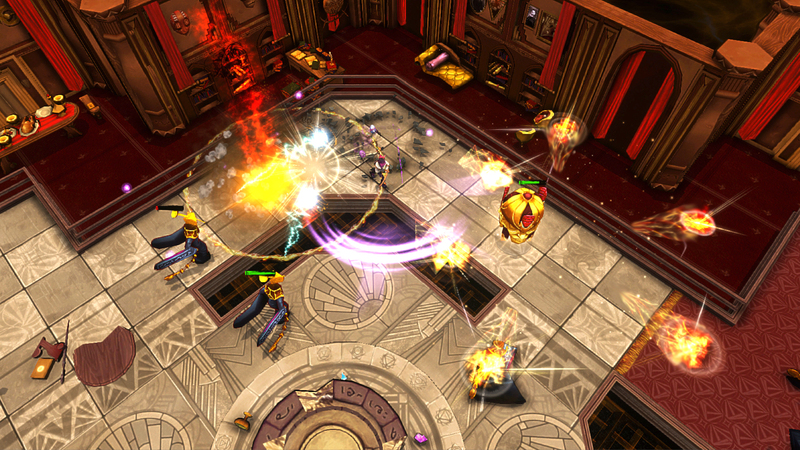 Her ability to reflect projectiles keeps her short range from being a showstopper, and can often be her most effective technique. 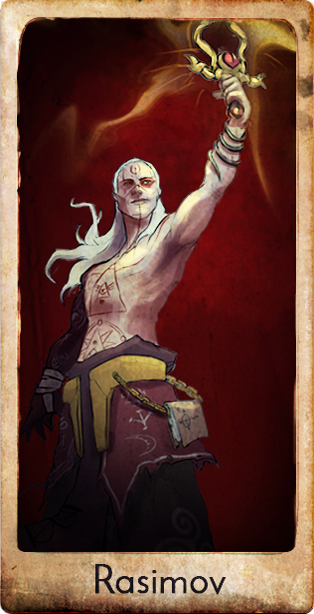 The final unlock is Rasimov, though I have limited experience with him, because of his own unique trait. 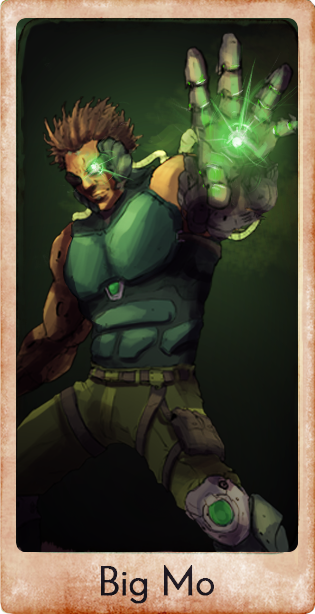 He's based on momentum in the game, so he starts off fairly weak, but the better you do, the stronger he becomes. The progression system for each character is based on completing missions in a game, which are typically level-specific. Your first mission, for example, may be "Clear Level 1," but by your fifth mission, your objectives won't start until level two or three, so you have to constantly get further to continue progressing. 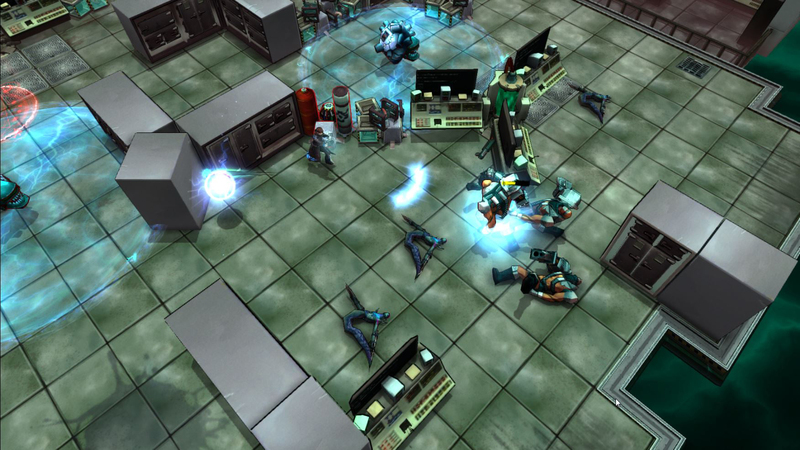 Once you clear all six levels, you unlock Hard mode, which adds a bit of variety to the enemies, as well as elite versions that show up relatively frequently. There is another set of missions exclusive to Hard difficulty, and there appears to be another set, but it's locked for me, as I haven't made it through Hard quite yet. Progression can mean a permanent character upgrade or access to character skins, but it's also the only means of unlocking new characters. 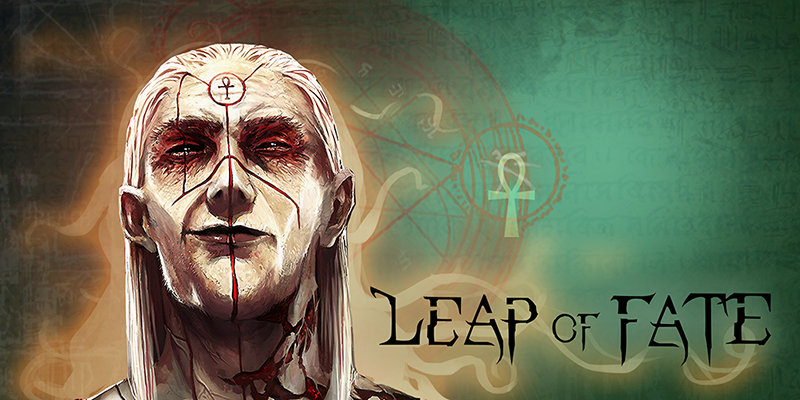 Leap of Fate's greatest success isn't what it does that's new, rather in blending a variety of genre-typical systems into a single experience exceedingly well. While it's a rogue-lite game overall, the difficulty curve is gentle enough that it will be widely accessible, but the difficulty spikes most commonly seen in the level bosses help to ensure that there's a challenge for more experienced players. Hard difficulty isn't hard enough to sate the most voraciously masochistic of gaming appetites, but if there is a tier above Hard, I expect it'll give even the best gamers a run for their money. 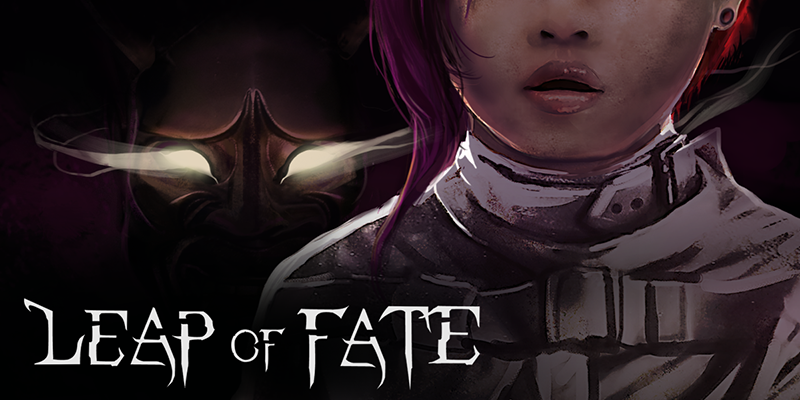 Bottom Line: Leap of Fate offers a challenging rogue-lite experience without making it unapproachable to less serious gamers. The combination of unique characters, randomized skill trees, and an abundance of interesting Glyph effects makes every run feel like a different game. 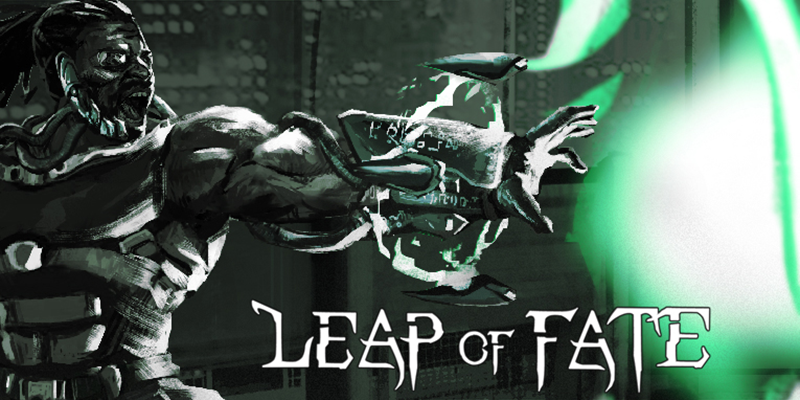 Recommendation: If you enjoy platformers or twin-stick shooters, you can't go wrong with Leap of Fate. Even if you're not big on the 'rogue' sub-genres, each run is perfectly satisfying, and the permanent progression system will ensure you never feel like you're just killing time.